The Kingdom are excited to announce that as of December 16. 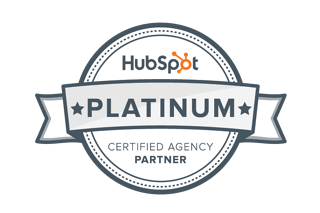 2015 we have become HubSpot Platinum Certified Partners. All HubSpot certified partners are judged on their levels of customer service, customer acquisitions, the skill of using the HubSpot tool and their lead generating effectiveness. Along the way there is a minimum of three examined Certifications that The Kingdom staff must complete to be a tiered partner. We have four, Inbound, HubSpot, Partner and COS HUBL Website development certifications shared among our staff. All of our team members must have at least one accreditation before they are allowed to work on your HubSpot portal. The Kingdom, starting out in February 2015 as a HubSpot Certified Partner, leaped straight past Silver and went right to Gold in just eight weeks. This rapid rise to Gold is one of the fastest in the HubSpot history of the value-added partner program in Australia. Now, in December 2015, in just ten months, we have become one of the fastest partners ever to reach the platinum level of accreditation, and the fastest in the Asia Pacific region to reach this prestigious level. Along the way, we have built a team of dedicated inbound marketing specialists that love working with HubSpot and want to make your HubSpot deployment work for you. 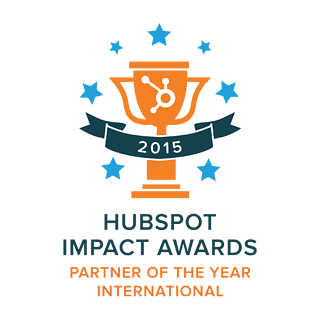 Using HubSpot we have had a 524% increase in website traffic in our first year. As a HubSpot Platinum Certified Partner, we can access an even higher level of resources, from HubSpot, to help with your HubSpot portal. In our 10 month journey to becoming Platinum, along the way, we won the International HubSpot Partner of The Year Award. HubSpot has 16,000 customers in 90 different countries, and we are constantly working with the HubSpot team out of Sydney, the USA and Dublin. The whole HubSpot community has been remarkably welcoming to The Kingdom. HubSpot always gives us wonderful support, and this means we can give better service and smarter solutions to our customers, which hopefully leads to more leads. Achieving Platinum has been a thrill, but now we are super motivated to provide even better service to our customers and strive onward towards the top level Diamond status, hopefully in 2016.